An embracing attitude towards change is opening up new avenues of expressions for a younger generation of Bahraini artists. The artworks of Nabeela Al Khayer show shimmering waves of blues and greys. Titled Sound Of Water, they reflect the significance of water in Bahraini culture. “I remember having picnics by streams and swimming in rivers when I was small – water is a big part of Bahraini life,” says Al Khayer. “Furthermore, we are an island. People from all over come to Bahrain, via the water that surrounds us – it is what brought life and culture to this country,” she shares. Indeed, such is the magic of the artworks showcased at the South-east Asian debut of Art Bahrain Across Borders (ArtBAB), held under the patronage of Her Royal Highness Princess Sabeeka Bint Ibrahim Al Khalifa, wife of the King of Bahrain. The Bahrain Art Week presentation, open to the public from Oct 23 to 27, was launched with a VIP preview on Oct 22 and saw a gathering of art connoisseurs at the Museum of Contemporary Arts. The invited guests had the privilege of being among the first in the world to lay eyes on a whole new collective of contemporary works: 70 pieces that span diverse genres, from photography to sculpture, all carefully curated based on the theme of Legacy. The heart and soul of Bahrain certainly shines through in the artworks. It is in the colour palette of the paintings by one of Bahrain’s leading abstract artists, Omar Al Rashid; in the golden hues inspired by the Sakhir desert, and the azures that bring to mind shimmering seascapes that surround the island state. 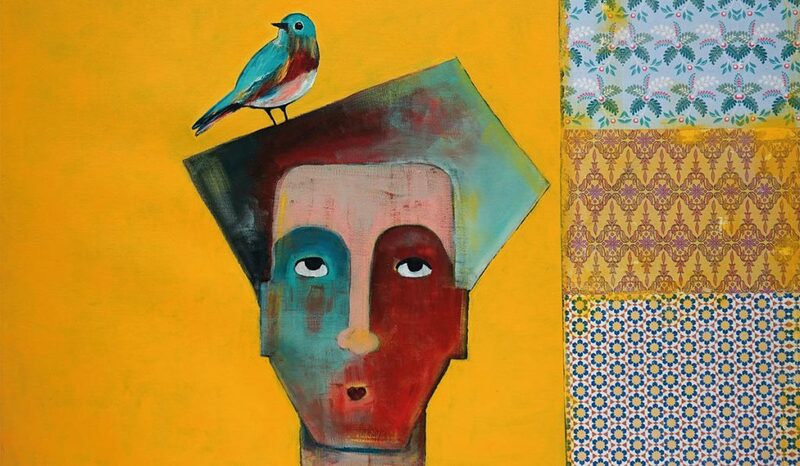 It is in the whimsical subject chosen by Linda Mattar in her series, Conversation With A Bird. “In Bahraini culture, birds represent freedom. They soar in the sky, they sing, they have no cares – they demonstrate that if you allow the universe to, it will provide,” says the architect by profession, who made her Singapore debut at the event. 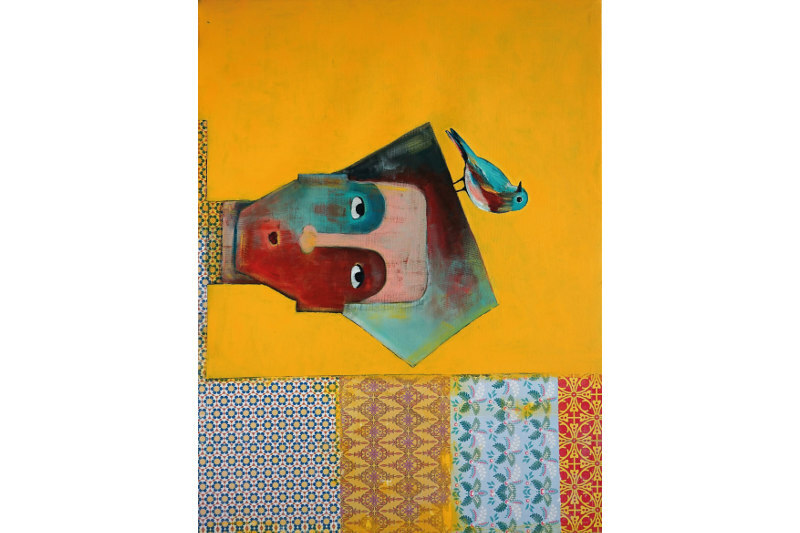 A piece of Bahrain is even physically present in the evocative mixed-media pieces by Ahmed Anan. In his series titled Humanity, the celebrated artist – whose works are part of the Bahrain National Museum’s collection – constructs abstract silhouettes of womenfolk using shells from the beaches around the country. Inextricably tied to Bahrain’s history, geography and culture, these works nonetheless strike a chord with a worldwide audience. It is a reflection of the country’s cosmopolitan outlook, says Ahmed Al Asad. War and corruption are themes explored by the young literature graduate who showed with ArtBAB for the first time, and he feels that Bahraini contemporary artists of the post-90s generation address more global issues, given that they are more wired and live in a time of hyperconnectivity. Al Rashid, a keen observer of the Bahraini arts scene over the decades, and whose daughter is a student of contemporary art, also shares that an embracing attitude towards change is opening up new avenues of expression for a younger generation of Bahraini artists. “In the past, we talked about mixed medium. Now, they talk about multimedia. Our art is changing with the times,” says Al Rashid, who is of the opinion that art is a true expression of a nation’s development and evolution.